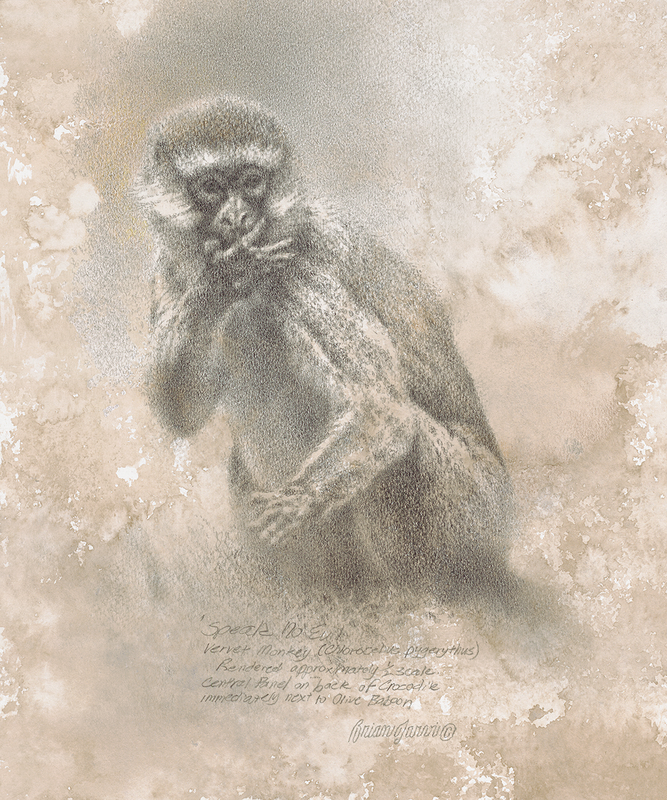 Rarely does a concept and body of work to back it up come along that begs for a museum exhibition, as much as the AFRICAN MENAGERIE project of Brian Jarvi. 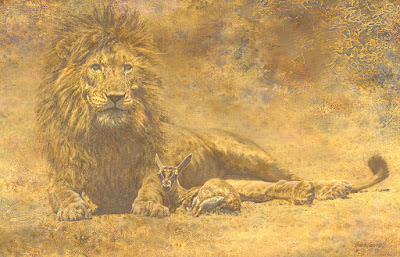 Seven large panoramic panels, the largest of which is 9 feet by five feet, form a sweeping, grand panorama of the African savannah and the animal kingdom contained therein. Fifty related research sketches and mixed media studies accompany the panorama; along with subtly and intelligently integrated signage describing the wildlife and ecology. Documenting the project will be a coffee-table book by Todd Wilkinson, author of such books as Last Stand: Ted Turner's Quest to Save a Troubled Planet, and Kent Ullberg: Monuments to Nature. Wilkinson's book, will be available to tour venues to sell in their book stores and gift shops. 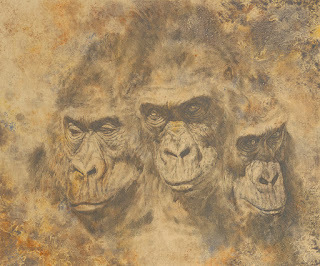 SAA member Brian Jarvi is widely recognized as among the very best painters of Africa today. AN AFRICAN MENAGERIE is unparalleled in its breadth, depth, and scope, and sure to be a hit with visitors wherever it is displayed. 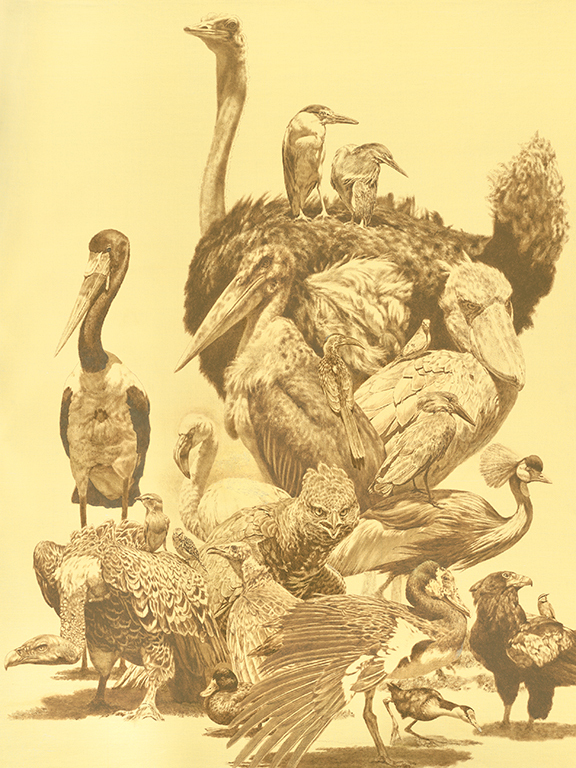 From its very conception fourteen years ago, "African Menagerie" has experienced a journey of growth, meaning, and evolution. Now, it has entered the most exciting phase; creation of the epic vision. 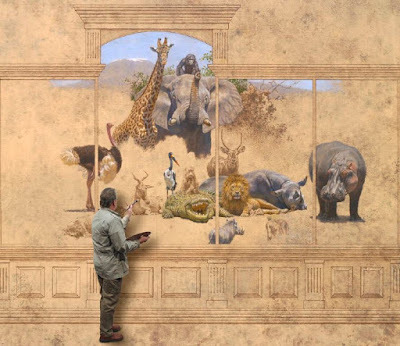 The seven paneled twenty-seven foot long work will feature more than one hundred forty different species from the Dark Continent, spawned from early childhood fascination with both living collections of wild animals, and paintings from the distant past portraying large varied groups of exotic creatures. In the "Menagerie," the gathering of an incredible array of wildlife will be set against a grand panoramic backdrop, highlighted by a view of the receding snows of Mount Kilimanjaro. All of Africa's icons including the Elephant, Leopard, Giraffe, Rhino, Hippo, and Zebra will mingle with such exotics as the Bongo, Okapie, and Mandrill. 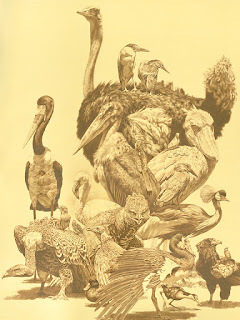 More than eighty bird species; Ostrich, Shoebill, Lilac Breasted Roller, and Sacred Ibis among them, have also arrived. And man, who has come to dominate the earth, has been summoned to this gathering, as the natural world seeks answers to the growing issues of survival faced by countless species across the planet. Allegorical storyline's intended to dramatize the urgency of the moment are woven into the tapestry of this idyllic scene. For example, the arrival of the "Four Horses" from the far left, and the "Lion and the Lamb" seated directly in front of a "DaVinci" like figure in the foreground, compel the viewer to interact with the scene. Over the years, the original concept of simply seeking to create art, has evolved into something far more meaningful: a message to humanity intended to inspire acts of conservation. 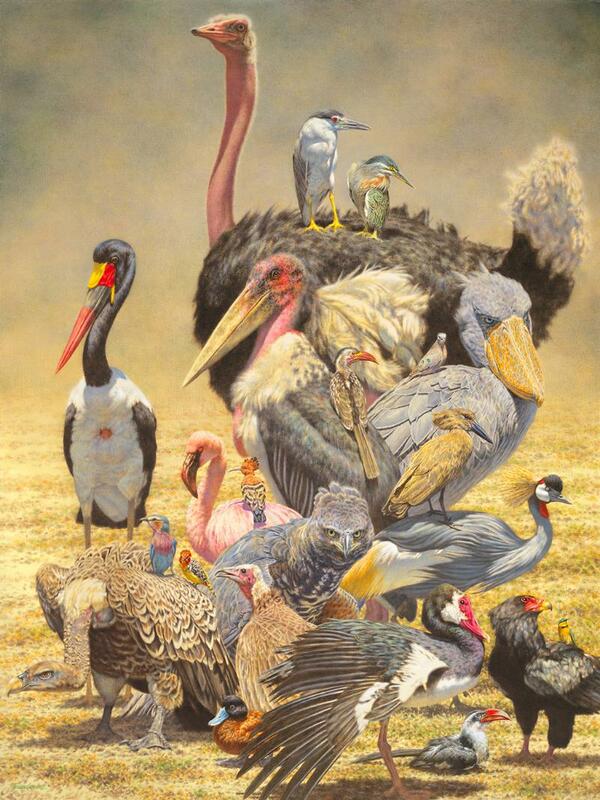 Acts that will save, not just the great iconic species of Africa, but wildlife across our fabulously, diverse planet. In preparation for the creation of "African Menagerie," more than 100 studies will be produced. Pencil, charcoal, monochromatic oils, mixed media and major full color oils will be created as I explore and familiarize myself with a multitude of species. 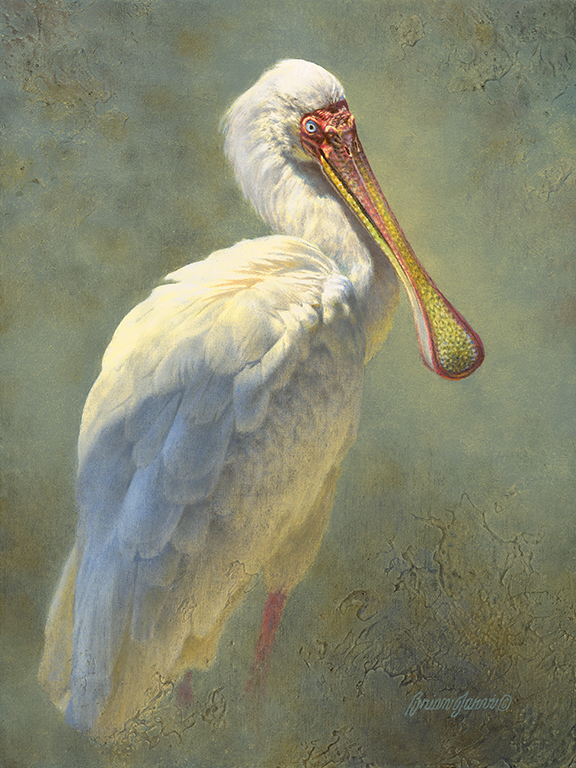 To date, fourteen of these works have been completed, six of which have been juried into major exhibitions including The Annual Exhibition of the Society of Animal Artists, Artists for Conservation Annual Exhibition, Birds in Art at the Leigh Yawkey Woodson Art Museum where one work was purchased for acquisition into the permanent collection. 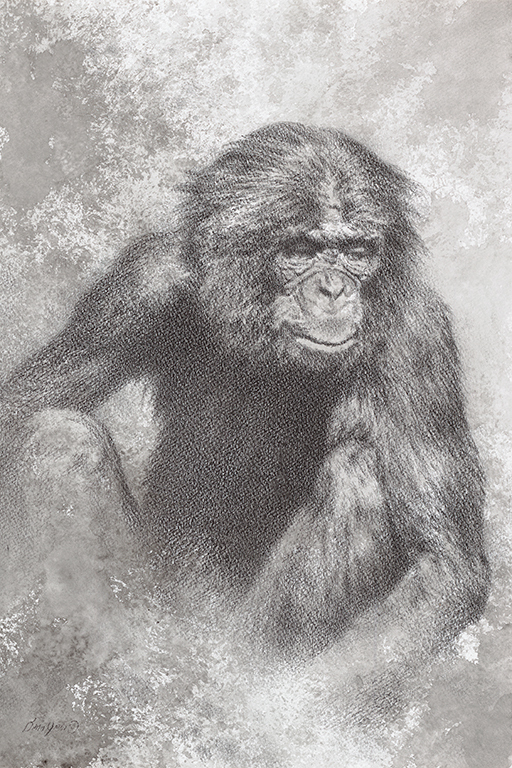 More studies will focus on relative scale, personality, attitude, and the demeanor of a wide array of subjects. 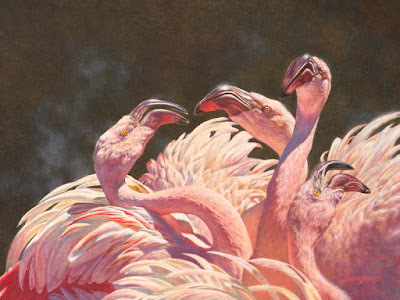 Numerous small multi-species paintings will be produced over the course of this process including "The Sunbirds," "The Duikers," and "The Ibis" studies, just to name a few. Eight of these pieces will be of major variety. The following is a list of those works, along with brief descriptions. In preparation for the creation of "African Menagerie," more than 100 studies will be produced in various media including pencil, charcoal, monochromatic oils, mixed media and major full color oils. Many will also be included in the exhibition. 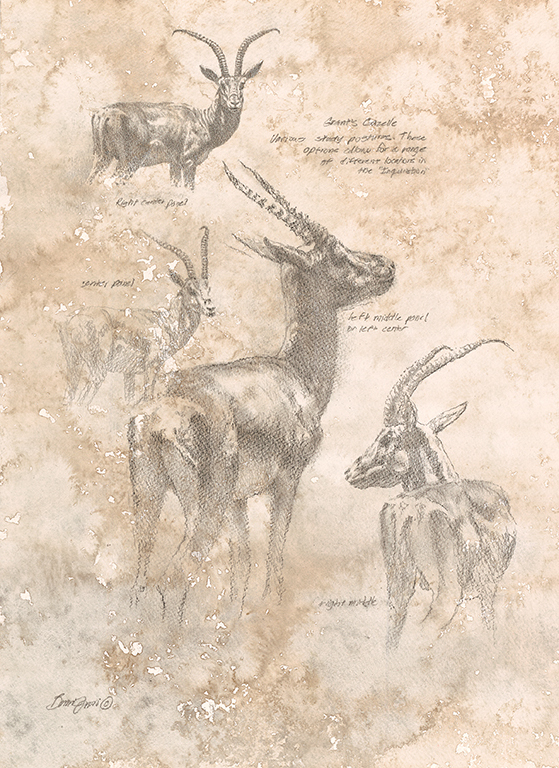 "Predatoria" will feature species ranging from the diminutive Banded Mongoose to the iconic 450lb African Lion. Also included are the Leopard, Spotted Hyena, Homo Sapien, Honey Badger, Cheetah, and others in a menagerie grouping. 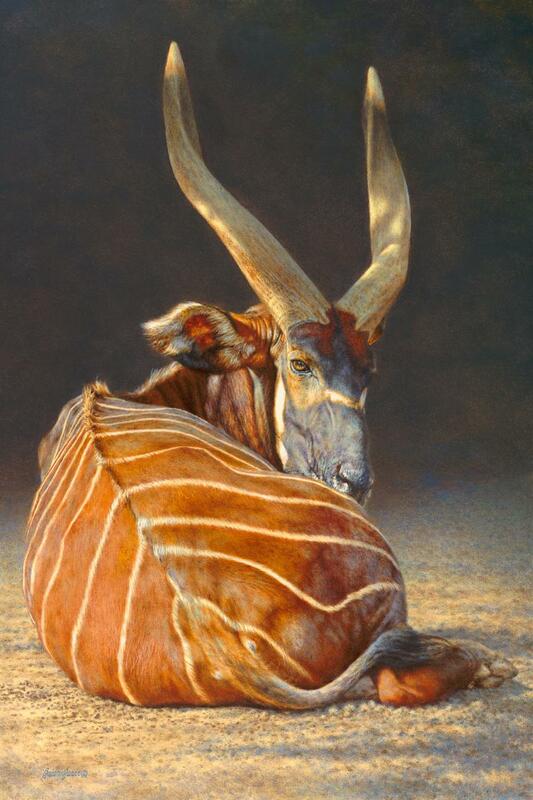 A detailed full color study of the extinct Quagga Zebra. 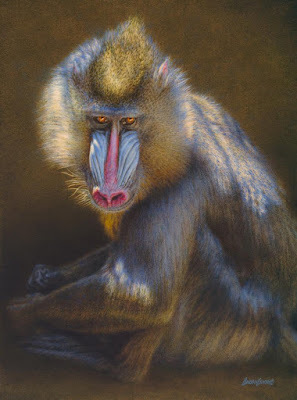 Several of the primates including the Western Lowland Gorilla, Yellow Baboon, Wolf's Mona Monkey, Mandrill, Homo Sapien, Colobus Monkey, and others. 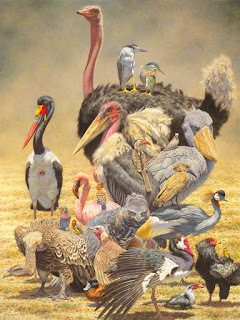 The nearly completed menagerie grouping of more than 20 of Africa's most iconic avian species including the Ostrich, Shoebill, Crowned Crane, Lilac Breasted Roller, Bateluer Eagle, and Lesser Flamingo. A study of Homo Sapien inspired by DaVinci's "Vitruvian Man." A Prestudy of the Equines includes the Mountain Zebra, Grevy's Zebra, Burchell's Zebra, and the Quagga. "Jurassica" will feature several of the more prehistoric appearing species including the Elephant, Rhinoceros, Hippopotamus, and Crocodile. 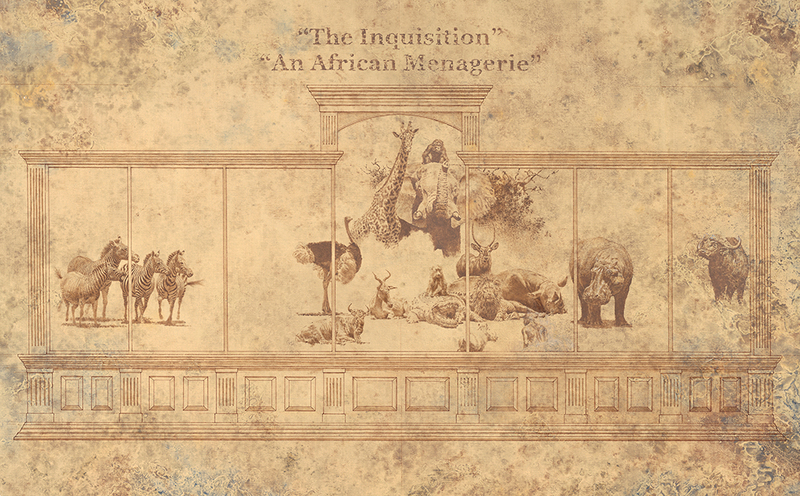 The Master Prestudy will be a complete monochromatic preliminary study of the final epic 27 feet long and 10 feet high painting titled "African Menagerie, The Inquisition." Author, Last Stand: Ted Turner`s Quest To Save A Troubled Planet.